Hooray!! 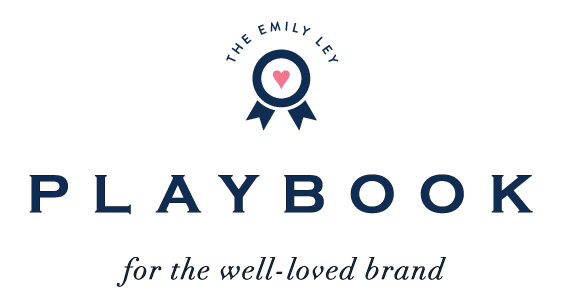 I just couldn’t go out on maternity leave until I shared one of my FAVORITE new updates to the 2015-2016 Simplified Planners (coming May 6 at 10am EST!!). Over the years there’s been something I’ve really missed on our pages, something that didn’t feel quite right. 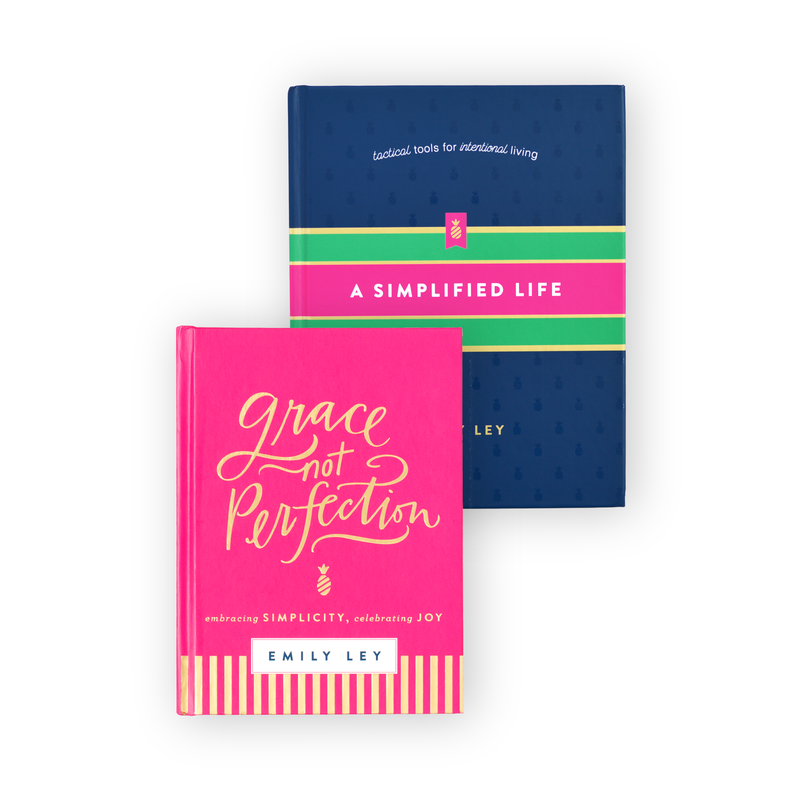 During the Fall of last year I spent hours upon hours reworking the pages in an attempt to bring our two key principles into the pages even more: JOY and SIMPLICITY. 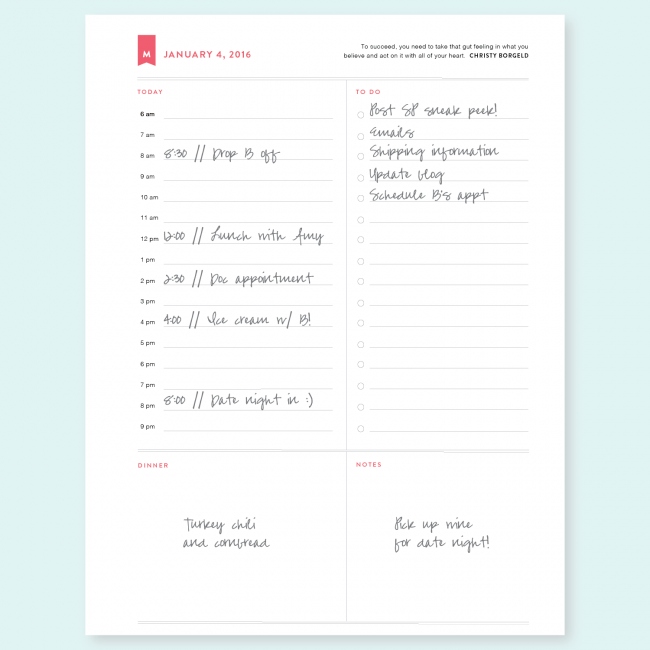 The simplicity part was easy – I reworked the layout and moved things around based on how I was using the daily planner and where I felt like I needed more or less space. The Dinner section is now underneath the Schedule section (since that’s really how I think of my day… what appointments do I have, where do I need to be and what are we having for dinner…) and a little larger. The quadrant feel makes me SO HAPPY visually. Aesthetically I see my page in four sections now – and nothing else. 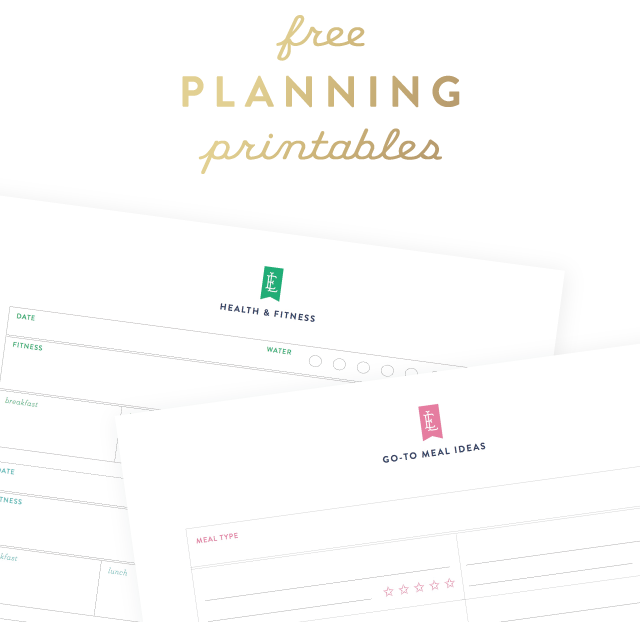 The “nothing else” part is what fires me up about our Simplified Planner – we don’t put excess in these pages and that helps my mind feel free from a) guilt of not using certain portions and b) helps me see only what I need to see. Ok!! Now the fun part. 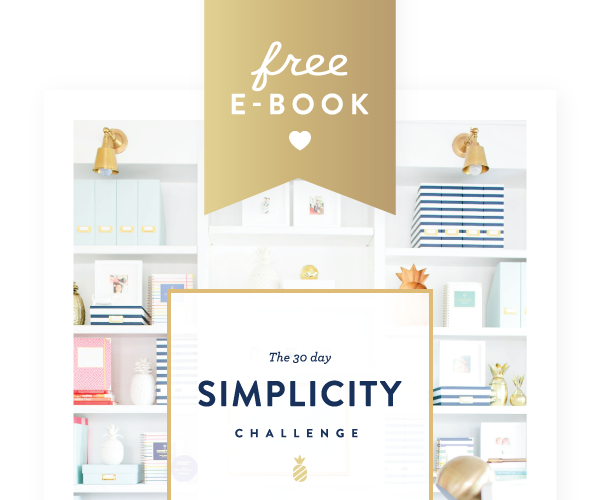 For years we’ve had a Daily Page printable in our Free Printable Library but it wasn’t quite like the planner. NOW, you can download and print this page to see it for yourself! 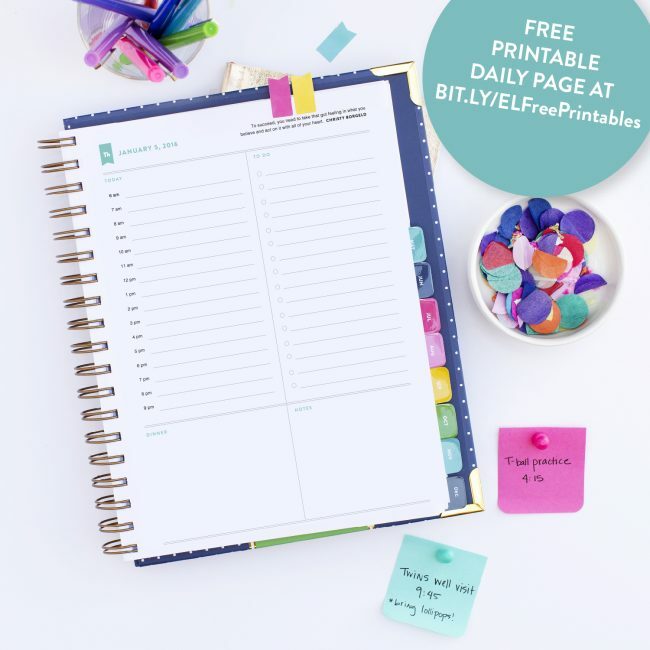 There are SO MANY of you that didn’t get a Simplified Planner and wanted one (determining how many planners to make each year is one of the hardest parts of my job) so I thought you’d love this little treat. Download yours here. I know you’re going to have lots of questions and I promise we’ll answer them as we get closer to May 6. 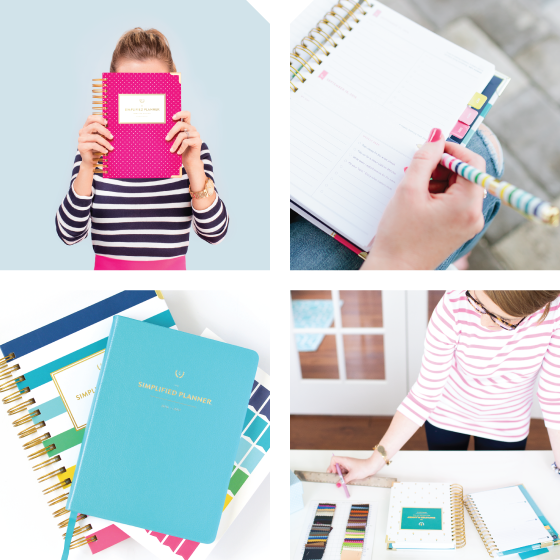 These are just a FEW of the updates and changes we’ve made to the Simplified Planner to make it more joyful and more simple. I’m seriously over the moon about all of them and can’t wait to share more! 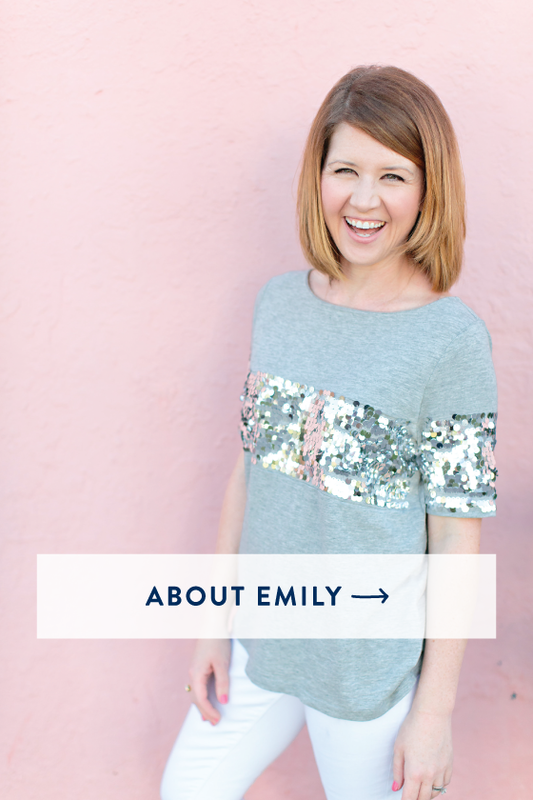 PS: This image above is showing you the new page layout inside our Navy Dot Daily. We’ll have three NEW covers with the new editions. Not this one. :) This was just for fun.